There was no rush to leave the hotel on the last day as we were allowed to stay as long as we want. There is a supermarket right outside the hotel and location in general is great with a free shuttle bus taking you to the nearest gondola which takes you right to the top of the mountain of grandvalira resort. The hotel was very neat and comfy with a very warm welcome. 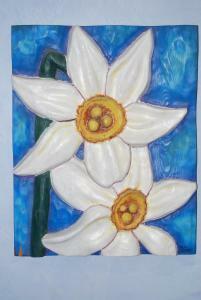 Very friendly staff, the apartment was well equipped and close to supermarket. It was quiet and comfy. We enjoyed our stay. I would recommend. En general todo. Muy limpio, cómodo, ubicación perfecta, fuera del bullicio de Andorra La Vella y al mismo tiempo cerca de todo. Supermercado al lado, parking cerca también, restaurantes tranquilos, un parque infantil estupendo para los niños... en definitiva repetiremos aquí cuando volvamos a Andorra seguro. L’accueil était excellent. On a même pu rester 2h00 de plus le jour du départ pour profiter bien de notre week-end sans aucun problème ni surcoût. Les équipements de l'appartement et sa situation géographique,proche funicamp. Отличное расположение, до супермаркета 20 метров, как и до автобусной остановки до фуникулера. Lock in a great price for Apartaments Del Meligar – rated 9.3 by recent guests! Apartaments Del Meligar This rating is a reflection of how the property compares to the industry standard when it comes to price, facilities and services available. It's based on a self-evaluation by the property. Use this rating to help choose your stay! One of our top picks in Encamp – and a guest favorite. These modern family-run and cardio-protected apartments offer mountain views, satellite TV and ski storage. There is free WiFi throughout and the lobby includes a small gym. Funicamp Cable Car is 5 minutes away, via a free train. The Meligar apartments and studios have simple décor and central heating. Kitchenettes come with a dishwasher, an electric hob and a microwave. Toiletries, sheets and towels are also provided. 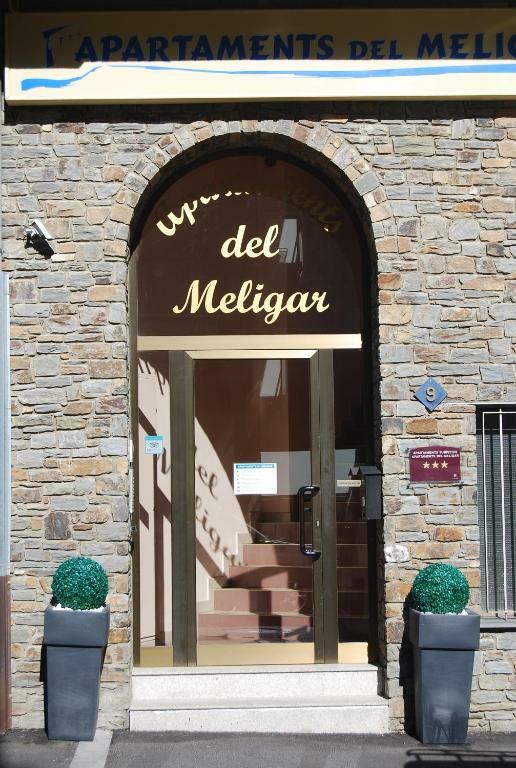 Apartaments del Meligar are set in the village of Encamp. The nearby Funicamp Cable Car offers direct access to Grandvalira Ski Resort. Andorra la Vella is just 2.5 mi away. This property also has one of the top-rated locations in Encamp! Guests are happier about it compared to other properties in the area. This property is also rated for the best value in Encamp! Guests are getting more for their money when compared to other properties in this city. 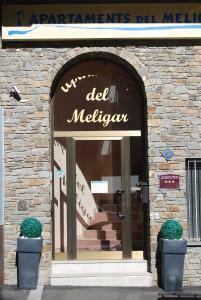 When would you like to stay at Apartaments Del Meligar? This spacious apartment has 1 bedroom, a double sofa bed and a kitchenette with a washing machine. This studio features 2 sofa beds, satellite TV and a bathroom. The kitchenette includes a microwave and dishwasher. This spacious apartment has 2 twin bedrooms, a double sofa bed and a kitchenette with a washing machine. Intentem cuidar al màxim els detalls i donar el millor servei possible per a qué els clients es sentin com a casa. Es tracta d´un negoci familiar gestionat amb l´objectiu de fer de l´estància dels clients la millor experiència possible. Malgrat que els apartaments estan ubicats al centre del poble, el carrer on es troba el Meligar és molt tranquil, es tracta d´un carrer secundari amb poc trànsit i per tant, poc soroll. A pocs metres ja tenim la carretera general amb la parada del Funibús (accès directe i gratuït a Grandvalira) així com un supermercat i diferents restaurants, granjes i cafeteries. House Rules Apartaments Del Meligar takes special requests – add in the next step! Apartaments Del Meligar accepts these cards and reserves the right to temporarily hold an amount prior to arrival. Check-in is possible from 17:00 until 23:00. Guests expecting to arrive outside these times should contact the property in advance, using the contact details found on the booking confirmation. The property has a bicycle workshop. A security deposit of EUR 150 in cash is required upon arrival for incidentals. This deposit is fully refundable upon check-out and subject to a damage inspection of the accommodations. Apartaments Del Meligar has a defibrillator at reception. Please inform Apartaments Del Meligar of your expected arrival time in advance. You can use the Special Requests box when booking, or contact the property directly using the contact details in your confirmation. Perhaps having some salt and pepper available just like they had sugar and tea. A few more infusions would have been lovely too. But those are just bonus amenities that we were really not hoping for.